CAS stands for Creativity, Activity and Service. It is a series of experiences that broadens students’ education beyond the classroom and encourages respect and concern for other people and the world. Students must stretch themselves to develop a 50-hour project for which they have passion with the hope they will become involved in the world around them for life. Students should review this document which fully explains the Creativity, Activity, Service components, expectations, and activities. Creativity-33 hours: Should cover a wide range of arts and other activities and include creative participation by the individual student in designing and carrying out involvements at school or in the community. Activity-33 hours: Should include physical activities, either team, group or individual, and may include training for service endeavors. Service-33 hours: Encompasses community and social service but may also include environmental and international projects. 50-Hour Integrated Project: A minimum of 50 hours must be devoted to one project of the students’ choice. The project must encompass at least 50 percent of service, and the remaining from creativity and/or action. Students must complete their 50-hour integrated projects before the first day of school senior year. August 1st of 11th grade: Students create their ManageBac online accounts, and begin documenting CAS involvements. 11th grade: Participate in 33 hours each of Creativity, Activity, and Service; develop and complete the 50-hour, in-depth community service project, pre-approved by the IB CAS Coordinator. Document all involvements on ManageBac; write reflections and request supervisor reviews at the end of each involvement. 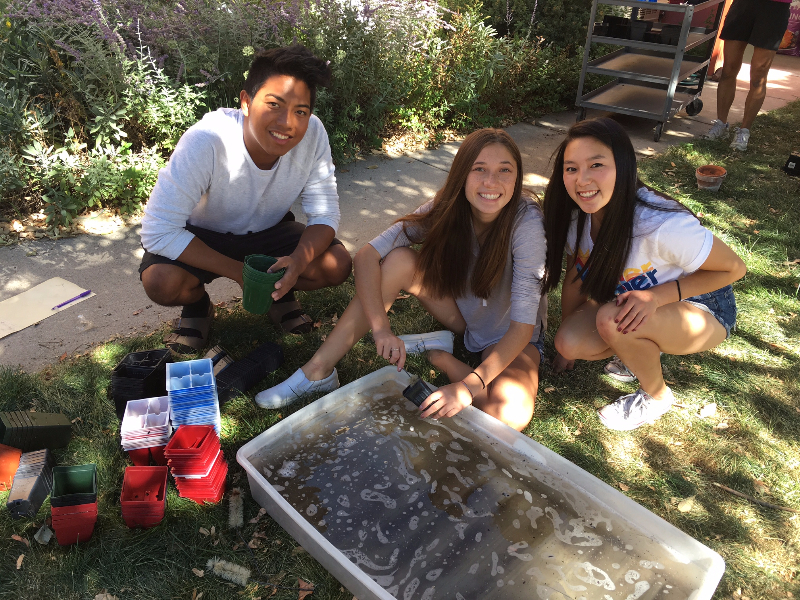 12th grade: By the first day of school, all 50-hour integrated projects must be complete. By March 1, all other CAS involvements and required components are to be finished, including all hours, reflections, evidence, self-evaluation, and supervisor reviews. Students who do not complete all components of CAS by March 1 of senior year are not eligible for the IB diploma. Here are some ongoing CAS opportunities in the Denver metro area; this list is updated regularly. Please click here for summer camp and summer volunteer opportunities. Most camps require an application in addition to an orientation session and/or interview. See each camp description, and website, for details. Many tutoring opportunities exist within close proximity to Littleton High School. Please peruse the list for suggestions. Metro Volunteers is another valuable source for volunteer opportunities. Visit their website at www.metrovolunteers.org or call 303-282-1234.